WASHINGTON — Fair winds and following seas: A piece of U.S. history has left the District. The USS Barry, has been a museum ship at the Washington Navy Yard since the early 1980’s, until now, as it made it’s way out of the Navy Harbor and off to a bone yard in Philadelphia. Navy Lt. Luke Adams with Navy Support Activity in Washington, told WTOP that tug boats would take the USS Barry to Philadelphia. He says all the ship’s internal systems have been in layup and out of commission, so the ship cannot move on its own power. The ship began the journey around 7 a.m. Saturday. 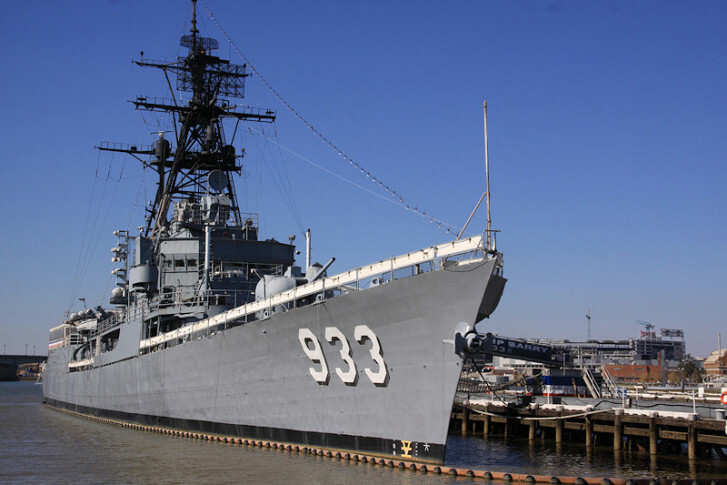 The USS Barry will eventually be dismantled and sold for scrap. The USS Barry earned two battle stars in Vietnam and was called into action during the Cuban missile crisis.